by Egger-Bovet, Howard, Smith-Baranzini, Marlene, Simison, D. J.
Egger-Bovet, Howard, Smith-Baranzini, Marlene, Simison, D. J. 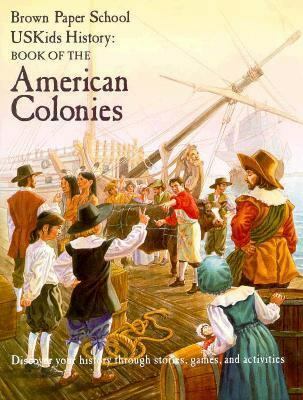 Full of information & imaginative games & activities, this book covers the reasons for European settlement in America, the growth of the original colonies, & the reaction of the natives to the colonists. Smith is portrayed as a leader who disliked by the colonists with whom he had no patience. List of further readings & index. Part of the Brown Paper School series.Egger-Bovet, Howard is the author of 'USKids History: Book of the American Colonies - Howard Egger-Bovet - Hardcover' with ISBN 9780316969208 and ISBN 0316969206.